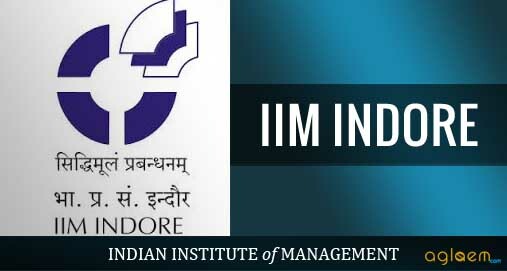 The IIM Indore IPM Application Form 2019 is issued for admission into the five-year Integrated Programme in Management. The applications form is available in online mode from March 14, 2019. Interested aspirants will have to register online at iimidr.ac.in. It is important that the application schedule should be completed before the deadline. Any application form submitted after the last date will not be accepted. The applicants should provide only valid details in the online application. It is advised to verify the details provided in the online application before submitting it. The admission to IPM course will be on the Written Test, Personal Interview and the information provided in the online application. The completed online application must be submitted through online mode on/or before the last date. Candidates can check more information about IIM Indore IPM Application Form 2019 from the article below. Latest: IIM Indore has released Information for IPM 2019 application form are editable. Scroll down to check the same. 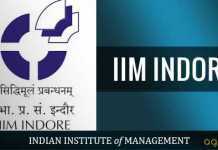 Click here for IIM Indore IPM application form. Please note that no other details mentioned in IPM AT 2019 Application Form are editable. This edit option is optional and not mandatory. Candidates will be allowed to edit the above-mentioned fields only once, and once the form is edited and submitted no further changes will be allowed. This opportunity is being extended to those candidates who have made a mistake in uploading the photograph/ signature, selecting the exam centre city preferences and Interview city preferences, such candidates are encouraged to make use of this opportunity and select the correct city. All other candidates who have filled the details correctly need not make any change. Application fee of US $ 118 inclusive of GST (at present GST rate on application fees is @18%). How to Apply for IIM Indore IPM 2019? Click on the link that is provided above on this page to apply online. Aspirants will first need to register online by providing their basic details such Name, Email Id, Date of Birth and Mobile Number. After the registration part is complete, applicants can proceed to fill in other required details such as Personal Details, Educational Qualification Details, Contact Details, etc in the online application form. Upload scanned copy of the photograph, signature and other relevant documents as required. After filling in details, submit the online application form and proceed to the next step, which is, to make payment for the online application. Q. What is the mode of IIM Indore IPM Application Form 2019? A. The mode of IIM Indore IPM Application Form 2019 is through online mode only. Q. Will I get a refund for the application fee if I do not appear for the test? A. The application fee paid by the candidate is non-refundable and non-transferrable. Q. I want to edit some detail in the submitted application form. Can I do it now? A. A candidate is not allowed to make any changes in the application form after it has been submitted. Moreover, any request in this regard will not be considered. Q. Do I need the printout of the application form through the post? A. The application form must be filled and submitted through online mode only. The printed copy of the submitted application form should be retained by the candidate for future references. Depends, if you qualify for the SC/ ST or OBC quota, then you might have to get that specific certificate from the respective Government Office by showing your Caste Certificate, if you’re planning to use it for IPM’s selection procedure, since it requires the certificate in that case! Is there any late application form filling. sorry to say but there is no such reservation for foreign citizens. I have filled the application and made payment. Bank shows the deduction of the amount. But i couldnot get the confirmation page from your website. Kindly clarify. it will take some time to show the confirmation. Check after some time. i have filled the application and made the payment. on 16 Mar 19 money has been deducted from my account. In the IIM application form , the it shows the payment is success full and and transaction no. is also given. But Today I recd an email from IIm mail id which says my payment has not been done . When i logged in with my id and pass word, ity shows the application has been submitted successfully ( with payment done successfully). Your payment is successful. You have the transaction ID keep it safe.